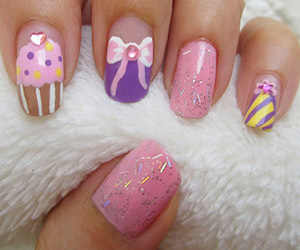 The nails are beautifully decorated using a sweet baby pink color and glitter added to it. 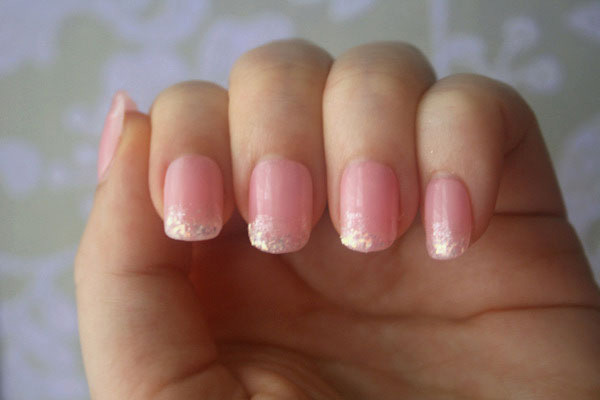 The glitter can be used in different shapes and here its applied on the tips of the nails. 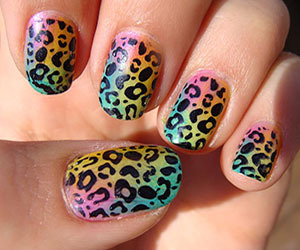 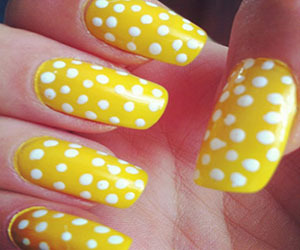 Get you nails prepared to try this new beautiful style!